Family campsite close to town centre in Bollnäs. The campsite is beautifully situated on a headland in Warpen lake, just a few minutes' walk from the town centre. 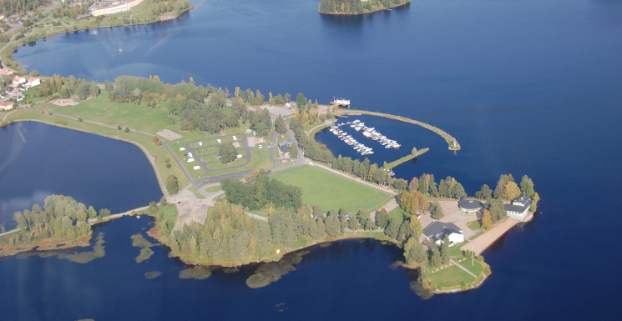 The campsite is right next to Långnäsparken, with fantastic bathing and a great restaurant in the summer. There is entertainment practically all summer long here, Tuesday entertainments, Friday Rock, Music and Comedy to name just a few. The steamboat Warpen is moored here at Långnäs and can take you on fantastic trips along Ljusnan's long valley. Bollnäs is in the middle of Hälsingland, and there are loads of activities in the local area.